Do you or a loved one have an eye health condition? We're a team of ophthalmologists and optometrists in San Antonio offering a range of evidence-based diagnostic and therapeutic techniques to alleviate symptoms and maximize eye health for people of all ages. Throughout years of serving our community, we've had the pleasure of helping patients improve vision and eye health in the face of a range of different conditions. Macular Degeneration: the leading cause of vision loss, caused by deterioration of the macula (center of your retina). Blurry vision in the central line of vision is the primary symptom. Cataracts: vision loss that occurs due to a clouding over of the lens inside one or both eyes. Glaucoma: the "sneak thief of sight" that causes blurry vision due to damage to the optic nerve; this is usually associated with an increased inner eye pressure. Diabetic Retinopathy: retinal tissue damage as a consequence of chronically elevated levels of blood sugar, which can damage and inflame blood vessels and tissues. Refractive Errors: if something impairs the way light normally enters your eye (such as an abnormal curve of the cornea or lens, or an abnormal length of the eye), blurry vision can occur when looking at objects far away and/or close up. Common refractive errors we diagnose include astigmatism, nearsightedness (myopia), farsightedness (hyperopia), and presbyopia (farsightedness that occurs with age). Eye Allergy: an excessive response of the immune system in the face of common allergens like pet dander, dust, mold, pollen, and smoke, can lead to red, itchy, watery, irritated eyes. 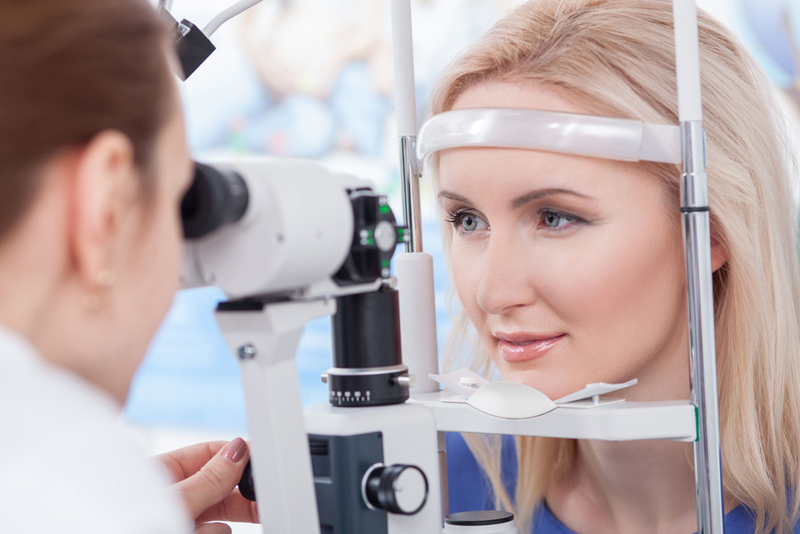 No matter what your specific condition is, our San Antonio optometrist and ophthalmologist team has several techniques to diagnose, manage, and prevent these symptoms. Whether you need eye drops, corrective eyewear, lifestyle modifications, eye surgery or a combination of the above, we can help you get there. Call 210-377-0350 to meet with our optometrists or ophthalmologists in San Antonio TX. We'd be happy to get to know you!